Offering you a complete choice of products which include t20 mounting weighing assembly, t30 weighing assemblies, silo mount weighing assembly, tank weighing mountings, tank weighing system and mounting assembly with shear beam load cell. 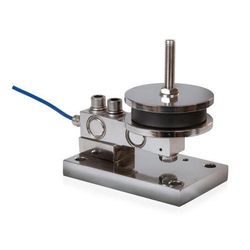 It combines a fully welded and hermetically sealed stainless steel compression disc load cell, protected to IP68/IP69K, with a mounting accessory available in zinc plated steel or stainless steel. This is an ideal combination for applications in harsh environments that require regular wash-down cleaning. 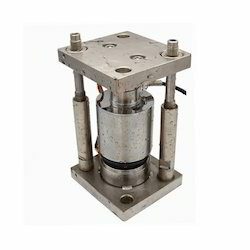 The T30 is a high accuracy compression load cell housed in an integral mounting accessory, which is ideal for the general commercial weighing of large tanks, silos, and vessels, particularly in the cement, minerals and coal industries. 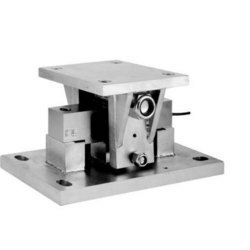 The design ensures optimum performance and eliminates many traditional problems that occur during the installation of high capacity weighing systems. 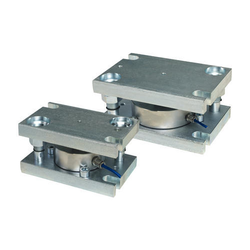 The T30 load cell and mounting assembly are supplied as a complete locked unit, ready to install. Silo Mount Weighing Assembly is capable of measuring a larger volume of goods. Moreover, these weighing scales come with the sturdy grill to support heavy loads. We are providing Tank Weighing Mountings products to our clients. We are providing Tank Weighing System products to our clients. 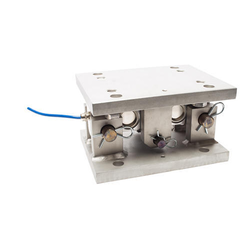 We are providing Mounting Assembly with Shear Beam Load Cell products to our clients.